It's officially Tartan Day in Canada. Canada finally has it's official Tartan Day, after all the provinces had previously proclaimed Tartan Day. In 2008, I arranged to have Tartan Day proclaimed in the the City of Vancouver. 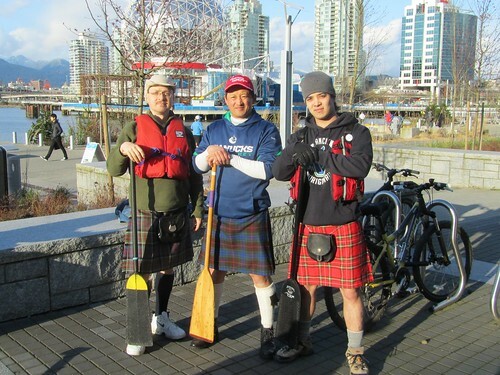 Xavier MacDonald, Todd Wong and Sean John Kingsley wear their tartans to the Gung Haggis Fat Choy dragon boat team practice on April 6th, 2011, Tartan Day. 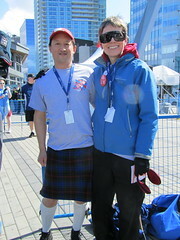 I also wore my kilt at the Vancouver 125 Celebrations where I was helping to supervise the ball hockey games at Jack Poole Plaza in the afternoon. There was fresh snow on the mountains, so thank goodness it was warm in the sunshine. Check out the different tartans of each province. Personally, I like the Nova Scotia and Sasketchewan tartans… Something about the blues and yellows of each. The BC tartan with its red and green looks too much like a Christmas decoration. This entry was posted in Canadian Identity, Canadian Identity & Heritage, Cultural Fusion, environments and land conservancy, Kilts - wearing kilts, Kilts Night, Main Page, Todd Wong on April 7, 2011 by Todd. The Land Conservancy of BC is hosting Canada Day events at some of his historic and important sites throughout BC. Here is a list of events created by TLC Director of Operations Kathleen Shepherd. I am on the board of TLC and have been involved with TLC, since they stepped in to partner with the Save Kogawa House campaign in 2005.
regular hours, check the TLC website for more information. 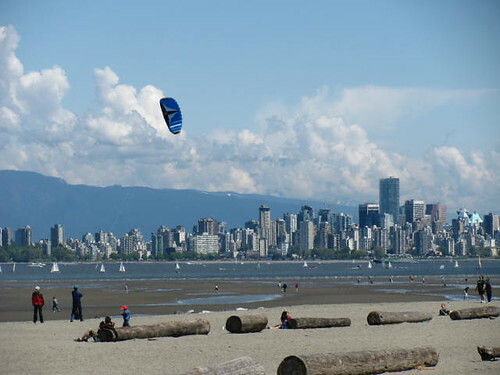 This entry was posted in Canadian Identity, environments and land conservancy, Main Page, Vancouver Area Adventures on June 30, 2010 by Todd. Results had been expected to be announced to candidates at the end of voting at 5pm, but were not announced until after 9pm. There is overwhelming a sigh of relief from the majority of TLC members, staff and volunteers, as many TLC projects and donations have been on hold since March, when TLC executive director Bill Turner was released from his duties by the TLC Board. Today at a board meeting, which included an open forum, Bill Turner was re-affirmed as Executive Director. lovely garden. We met with many of the volunteers who do restoration and gardending work. They were very appreciative that we were board candidates, and that I was with the Historic Joy Kogawa House Society. We met at Abkhazi Gardens at 11am, for a tour and an all-candidates photo op. It's an incredible heritage garden and house created by Prince and Princess Abkhazi, shortly after they settled in Victoria in 1946.
the 12:30pm board meeting, open forum, followed by a reception. 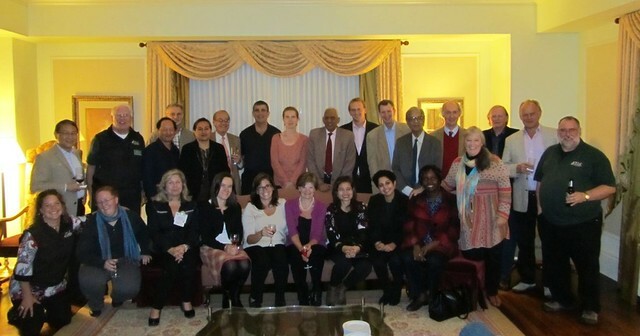 It was a wonderful reception where many TLC members were able to speak with the newly elected members of the TLC board. Elspeth and I left at 4pm to catch the 5pm ferry home. I received positive response, whenever I mentioned Kogawa House. This entry was posted in environments and land conservancy, Main Page, Todd Wong on August 9, 2009 by Todd. current issues and upcoming extraordinary meeting for The Land Conservancy of BC. Mail-in ballots have now been sent out for the upcoming extraordinary general meeting and voting for new directors. The Save TLC committee has had four conference call phone meetings and one in-person workshop meeting. It's a great group of organizers, volunteers and candidates – all committed to the future of a strong and viable TLC. 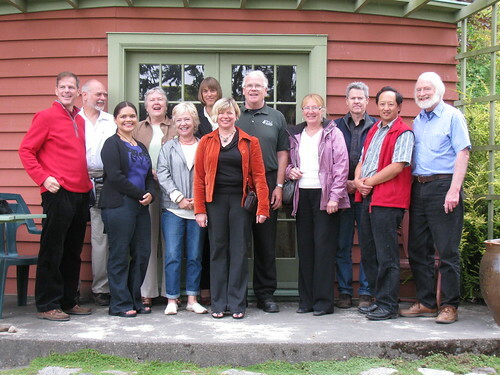 TLC founder Bill Turner (2nd from left) and TLC co-founder Briony Penn (2nd from right sitting) with new candidates for the TLC Board: (standing) Todd Wong, Ken Millard, Magnus Bien, and (sitting) Cheryl Bryce, Elspeth McVeigh. resulting from a lack of due diligence by the board and their lawyers. Gabelman was unavailable for comment, however, Penn recalls that he was unable to back up the board’s claims. “[Turner] has raised over a hundred thousand dollars [since he was fired],” Penn said. work with anyone on the new board should she be elected. “We’ve gotta put the trust back in land trust,” she said. This entry was posted in environments and land conservancy, Main Page on July 31, 2009 by Todd.